Tennis – Stockholm Open 2018 – Men’s Singles – Semi-finals – Royal Tennis Hall, Stockholm, Sweden, October 20, 2018. 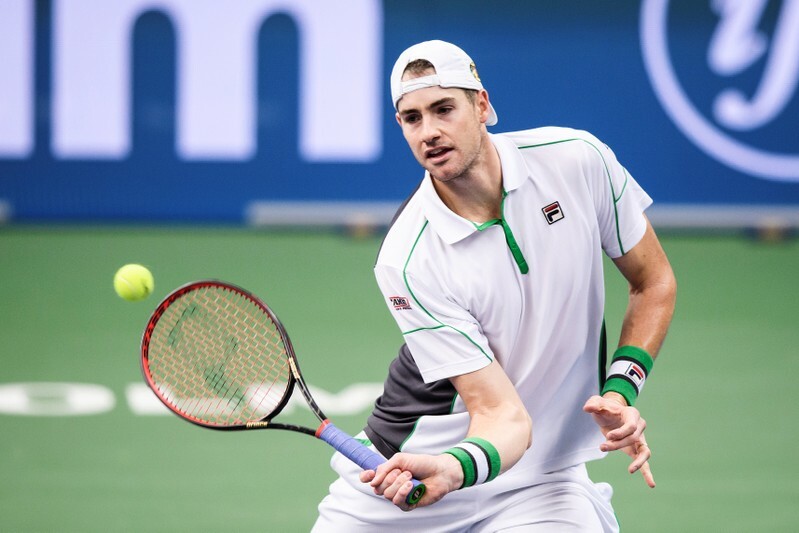 John Isner of the US in action against Ernests Gulbis of Latvia. TT News Agency/Erik Simander via REUTERS ATTENTION EDITORS – THIS IMAGE WAS PROVIDED BY A THIRD PARTY. SWEDEN OUT. NO COMMERCIAL OR EDITORIAL SALES IN SWEDEN.